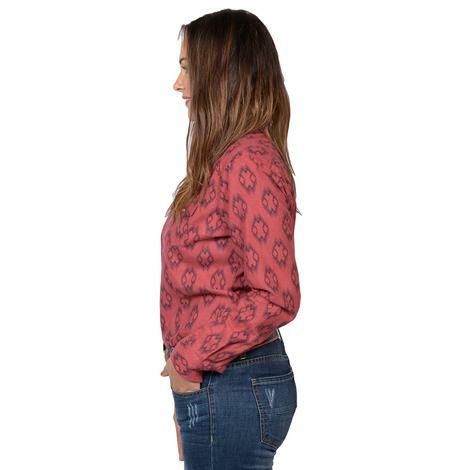 This flannel is perfect for the cold season and has a beautiful Aztec print throughout the entire shirt. All of the buttons snap for a quick and easy fit. The double front snap pockets add a bit of western flair. 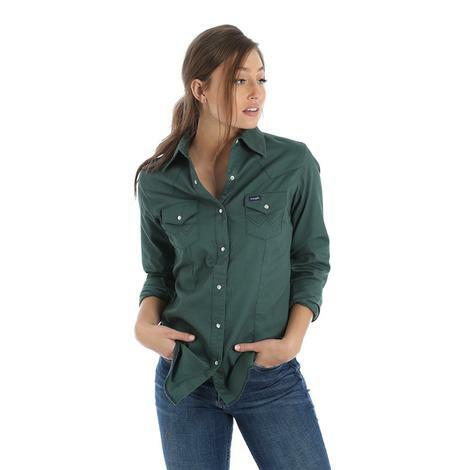 This shirt by Wrangler adds a bit of modern flare to the traditional western style. 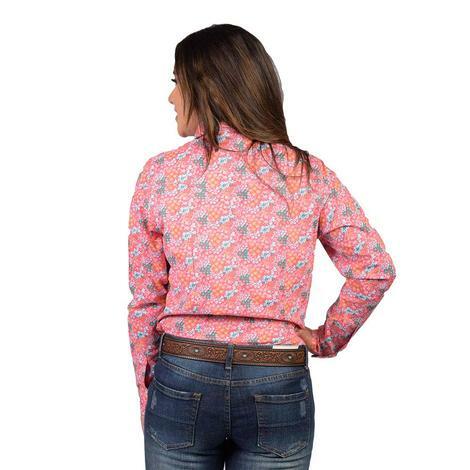 Featuring a beautiful floral print pattern throughout the entire shirt that makes this a must have! Be a part of the new take on tradition with the beautiful western-inspired long-sleeve, pearl snap shirt. This shirt is soft grey denim sets the background for front and back yokes. Featuring a Wrangler Riser label adds an authentic finishing touch. 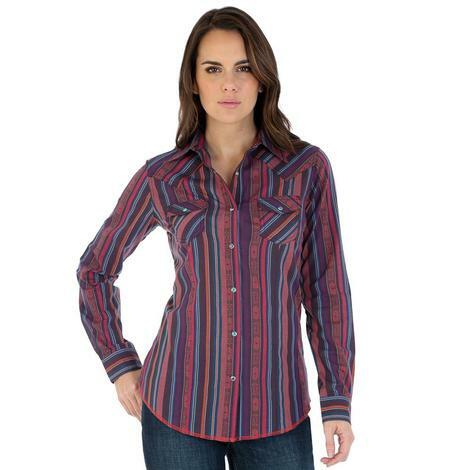 Work hard and look stylish in this shirt by Wrangler. 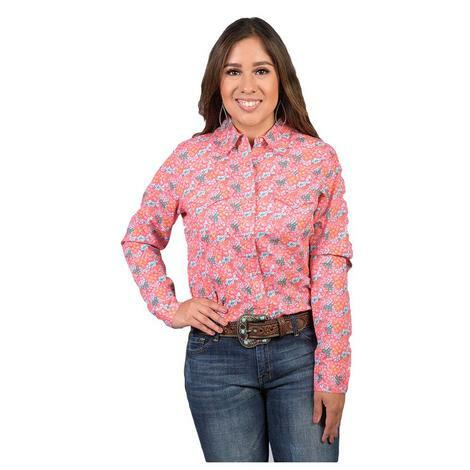 This is a long-sleeve, pear snap, western-inspired design, it features two front pockets that have a snap closure. The back design is the traditional western back yoke. 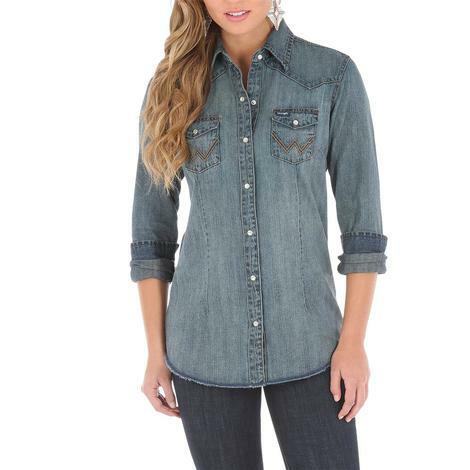 This is a chic snap work shirt that has a highly desirable vintage sense of style. This classic western-inspired top is the perfect addition to your closet. It features pointed yokes and serged hemtails that gives this long sleeve shirt the perfect feel. 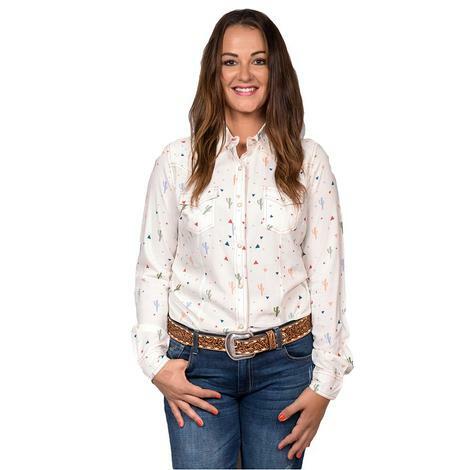 The southwestern shirt by Wrangler features a multi-colored cactus print shirt with snap flap pockets and one point yokes. 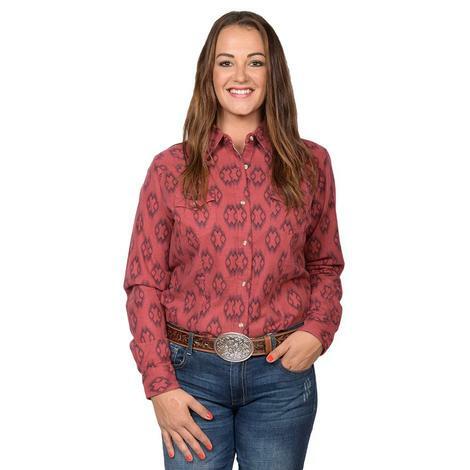 This red serape western shirt is made from a cotton/spandex blend and features pearlized snap closures, western yokes, and two chest snap flap pockets for a casually cool country feel. This stylish vintage western shirt by Wrangler features classic western snaps, snap flap pockets and one point yokes. The shirt is cut with a slimming silhouette that's sure to turn more than a few heads.